Just over two hours from the nation’s capital, picturesque Staunton, VA, provides an inviting escape any time of year—but during the fall, the historic Shenandoah Valley town is perhaps even more appealing. 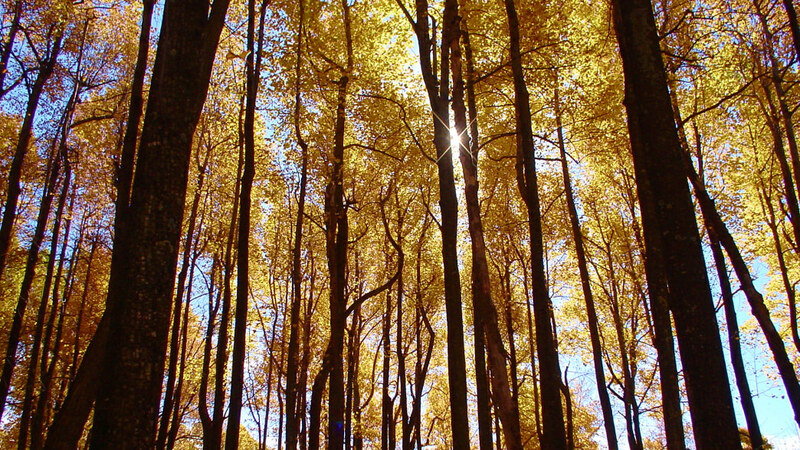 Celebrate the colorful seasonal transition on foot, exploring the hundreds of miles of hiking trails lacing the mountains and forests surrounding the Blue Ridge town, savor the autumn harvest at Staunton’s open-air farmers’ market and farm-to-fork restaurants, and spend the evenings soaking up the local arts scene. The town has plenty to offer craft-beer-connoisseurs, adventure-seeking outdoor lovers, and seasonally-inspired foodies—or just about anyone looking for an excellent weekend getaway. 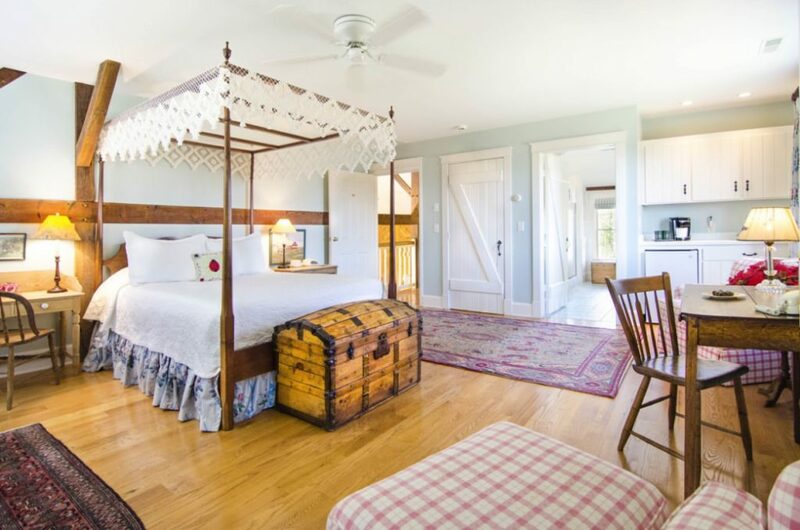 Spend a restorative weekend recharging at one of Staunton’s historic bed & breakfasts. Stay in one of the historically themed rooms at the Berkeley House B&B; or sequester yourself in the barn at the Inn at Old Virginia. Beyond the eclectic collection of bed & breakfasts in Staunton, the charming town also has plenty of elegant inns and boutique hotels—like the intimate Frederick House, a cozy hotel with a bed & breakfast vibe, or the centrally located and amenity-rich Stonewall Jackson Hotel. Compensate for the increasingly earlier sunset time with an evening indoors at Staunton’s amazing performing arts venue, the American Shakespeare Center’s Blackfriars Playhouse. 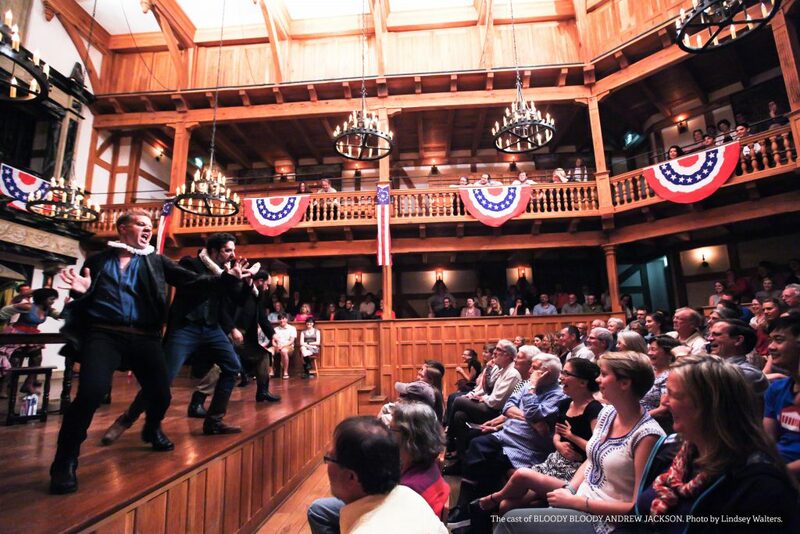 The venue is the world’s only recreation of the indoor Renaissance-era theatre graced by William Shakespeare. The Staunton-based playhouse showcases not only Shakespearean productions, but also more contemporary performances. On stage this fall choose from: Emma, As You Like It, Richard III or The Man of Mode. 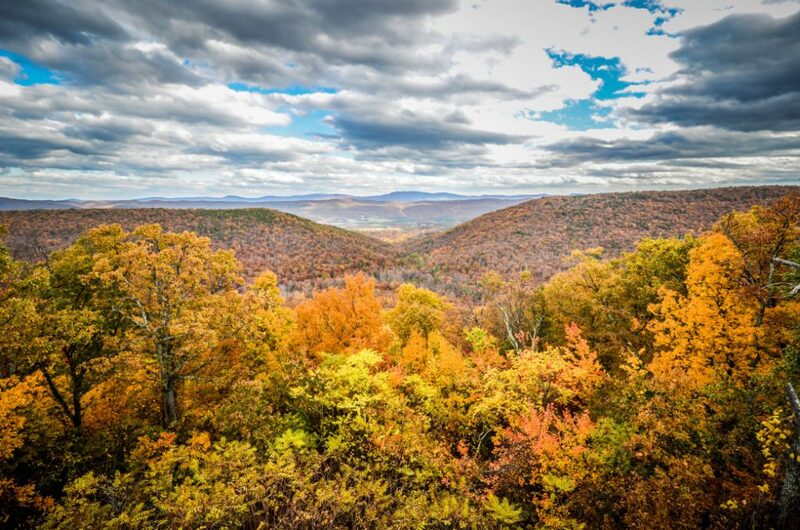 Explore the Shenandoah Valley’s vibrant seasonal color on two-wheels at Shenandoah Fall Foliage Bike Festival (October 19-21). The two-day cycling celebration draws bikers from all over the East Coast and features routes of varying distance to suit both casual riders and seasoned cyclists— all of course looping through the bucolic Shenandoah Valley. The weekend also includes a vibrant Saturday Night Street Party in downtown Staunton, complete with a free public concert. Peruse the fresh, locally grown, Shenandoah Valley produce and seasonal artisanal delicacies at Stauntons Farmerss Market (Saturdays from 7 a.m. to noon, April through November; Wednesdays 7 a.m. to 1 p.m., May through late September). After shopping for your own locally sourced ingredients, see how some of Staunton’s most celebrated chefs prepare the Shenandoah Valley’s seasonal bounty. Sample from the seasonally inspired menus at the town’s farm-to-fork eateries, like Zynodoa, serving elegant southern-inspired cuisine or The Shack, selected as “One of the Best New Restaurants in America” by Esquire magazine. The Store is a down-to-earth grocery store and local café using ingredients sourced directly from their farm, Nu-Beginning. Celebrate the flavors of fall with seasonal newcomers to the tap list at Staunton’s four craft breweries— Bedlam Brewing, Queen City Brewing, Redbeard Brewing Company, and the Shenandoah Valley Brewing Company. Sample autumn-inspired brews like Redbeard’s barrel aged stout, Moriarty being released on October 8th. Or try crafting your own festive fall brew with the option to “Become the Brewer” at Queen City Brewing and whip up your own batch of ale. The brewery has more than 80 different recipes to peruse for inspiration. Staunton is also a stop along the regional Shenandoah Beerwerks Trail, making the town a strategic jumping off point exploring a whole collection of mountain-fringed, regional breweries scattered throughout the Blue Ridge. You can find even more beer (and wine) options at Shenandoah Hops, an impressive retailer that also has a Friday night tasting event each week. Staunton is not only a portal to Skyline Drive, the iconic 105-mile thoroughfare bisecting Virginia’s Shenandoah National Park, but it also sits at the northern cusp of the Blue Ridge Parkway. 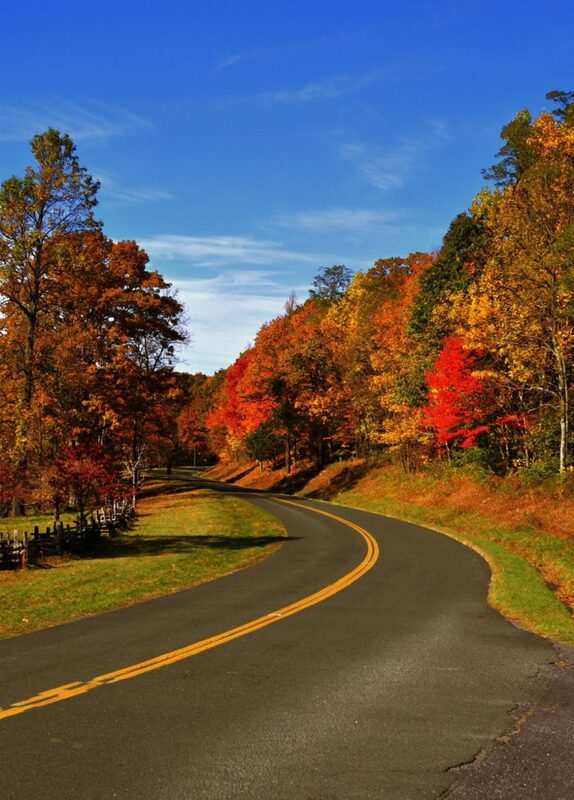 Flanked by the 200,000 acres of the Shenandoah National Park, Skyline Drive is laden with 70 different scenic overlooks, while there are a staggering 280 viewpoints along the 469 miles of the national forest shrouded Blue Ridge Parkway—making the roadways arguably some of the best leaf peeping thoroughfares in the east. Hit the trail during fall’s seasonal sweet spot—when the balmy summer weather has disappeared and the bugs have thinned. In Staunton, the options are almost unlimited, for everyone from casual day-hikers to trail-savvy backcountry gurus. Just outside town, the southward-winding Blue Ridge Parkway is a portal to more than 300 miles of trails, while Skyline Drive provides access to more than 500 miles of hiking trails in the Shenandoah National Park. Staunton is also flanked by several sizable wilderness areas ideal for both extensive backcountry trips and seriously rugged day-hikes. The 19,290-acre Ramsey’s Draft Wilderness, dappled with 4,000-foot peaks and traversed by fishable trout streams, is just 20-miles west of Staunton. You can also explore the massive 27,248-acre Little River Roadless Area, which includes the second highest point in the George Washington National Forest, the 4,400-foot Reddish Knob.